Video Production Techniques is an essential guide to the art and craft of video production. It introduces students to the theoretical foundations as well as the practical skills needed to make a successful video project. The opening chapter introduces the reader to the language of motion pictures and sets the stage for effective visual storytelling. Unit I guides students through the theory, techniques, and processes of writing, shooting, and editing video productions. Unit II expands on these basic principles to explore the crafts of sound recording/design, lighting, and directing. Unit III surveys the industries, formats, and methods for creating fiction and nonfiction programs. The final unit of the text examines options for distribution and career opportunities in video production. 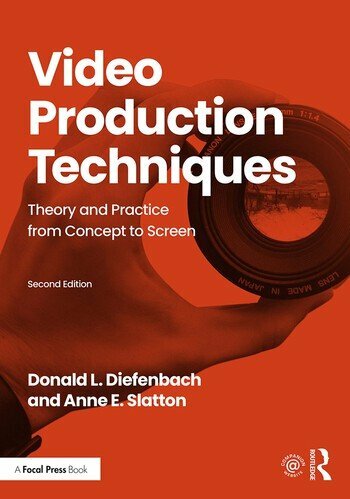 Newly updated and revised, the second edition of Video Production Techniques unifies theory and practice for instructors and students. It is a great tool for use in introductory-level video production courses and for the independent learner. The accompanying Companion Website features Instructor Resources including a sample syllabus, quiz bank, sample assignments, and PowerPoint slides for each chapter, alongside illustrative video demonstrations for students. Donald L. Diefenbach is professor and chair of Mass Communication at the University of North Carolina at Asheville. His video production credits include educational, corporate, and nationally broadcast programming. His research focuses on cultivation analysis and media portrayals of mental health issues. He teaches courses in media literacy, video production, and film studies. Anne E. Slatton is an award-winning writer and director. She teaches video production and film studies at the University of North Carolina Asheville. Her production work in film and television includes directing, writing and producing. A frequent panellist on issues of diversity and women in film, scholarly works include book entries on Sofia Coppola and Lorraine Hansberry. "Video Production Techniques is a very comprehensive and thorough tool for use by aspiring digital media producers. I am recommending this production guide for my digital journalism classes and for my senior level production course. I will also be adding it to my personal library of reference materials."